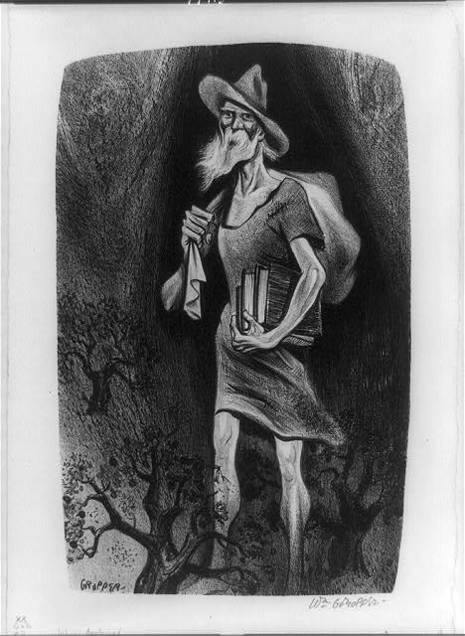 Jonathan Chapman, born in Leominster, Massachusetts, on September 26, 1775, came to be known as "Johnny Appleseed." Chapman earned his nickname because he planted nurseries and individual apple trees across 100,000 square miles of midwestern wilderness and prairie—resulting in settlers' planting their own orchards. The first record of Chapman's presence in the Midwest dates to 1801 when he was known to be on the Ohio River transporting bushels of apple seeds from western Pennsylvania for his nurseries. 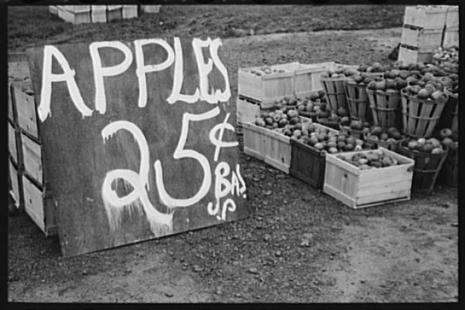 Chapman's first apple-tree nursery was along the Allegheny Valley in northwestern Pennsylvania; he then ventured into central and northwestern Ohio and to eastern Indiana. Chapman scouted routes that he thought pioneers would settle and planted his seedlings ahead of the new settlements. Chapman lived in Mansfield, Ohio, for about twenty years. Years before the Homestead Act he acquired about 1,000 acres of farmland in Mansfield through a local homestead arrangement. Chapman used the land to develop apple-tree nurseries. His reputation as a conservationist, a brave frontiersman, and as an eccentric (in dress and well as mannerisms) grew, as did stories of his kindness to animals and his heroic exploits. He was also a missionary for the Church of the New Jerusalem, or Swedenborgian Church, so named because it teaches the theological doctrines contained in the writings of Emanuel Swedenborg.